I’m certainly not a fashion victim. In fact, I wonder if the clothes I wear can even be called fashion, seeing as I’ve owned most of them for more than three years, and they were purchased second-hand back then. So when I say sustainable fashion, I guess what I really mean is sustainable clothes. Over the years my clothing shopping habits have changed. Whilst today I try to buy as little as possible, I confess there was a time when I used to see clothes shopping as a fun way to spend time. Luckily, I didn’t see it as a fun way to spend money (which I’m sure has saved me a small fortune over the years! ), so I tried to stick to things I really liked and that I thought would last, and would only shop a few times a year. I’ve never been a fan of cheap throwaway fashion: inexpensive items wear out quickly and lose their shape, and I want the clothes I own to get many outings. More than that, I’ve always been a believer that if something seems too cheap, it is; somewhere along the line, someone has suffered. I’d opt for the more expensive high street stores hoping that if the prices were higher, it meant there was no exploitation going on behind the scenes. The switch from new to second-hand came slowly, and actually, thanks to eBay. I’ve never particularly enjoyed clothes shopping in charity shops, but here on the internet I could find the size and styles that I wanted in the brands that I already knew. Giving a second life to somebody else’s waste, and not contributing directly to these fashion giant’s coffers rests better with my conscience, and I committed to try to avoid buying anything new (underwear excluded). In the last year or so, two things have made me wonder if this is enough. There’s always the question “can I do more?” Sometimes the answer is no, but often it is yes, and I wondered if there was more I could do with the clothing I chose to wear. In particular, I had two concerns. 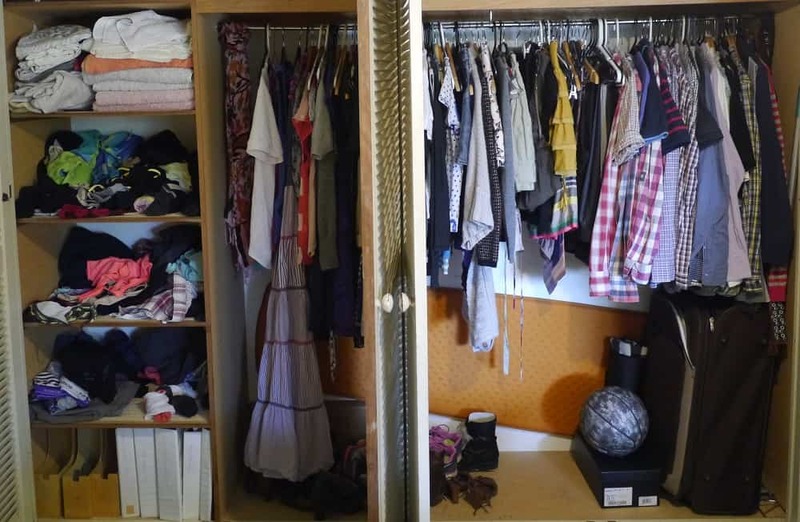 How Can I Live a Plastic-Free Life With a Wardrobe Full of Plastic?! I buy my clothes second hand, wear them to within an inch of their lives, cut them up and use them as rags for cleaning…but ultimately they need to be disposed of, and I am faced with two choices. Compost, or landfill. Plastic fibres will not break down in compost. (They’re actually not great as cleaning cloths, either.) Natural fibres make much better cleaning cloths, and can be composted at the end of their lives. When I looked at the contents of my wardrobe, only a handful of items were made of natural fibres (silk, cotton and wool). The vast majority are polyester (with some acrylic and nylon). Polyester is plastic. 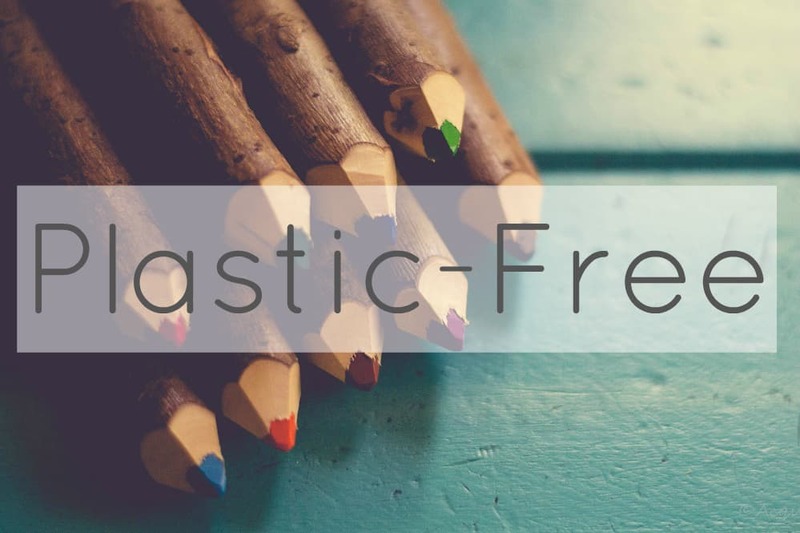 This has sat a little uneasily with me ever since I began my plastic-free living journey, but what really clinched it was when I first read that plastic microfibres are washed into the ocean every time we launder our (synthetic fabric) clothes. 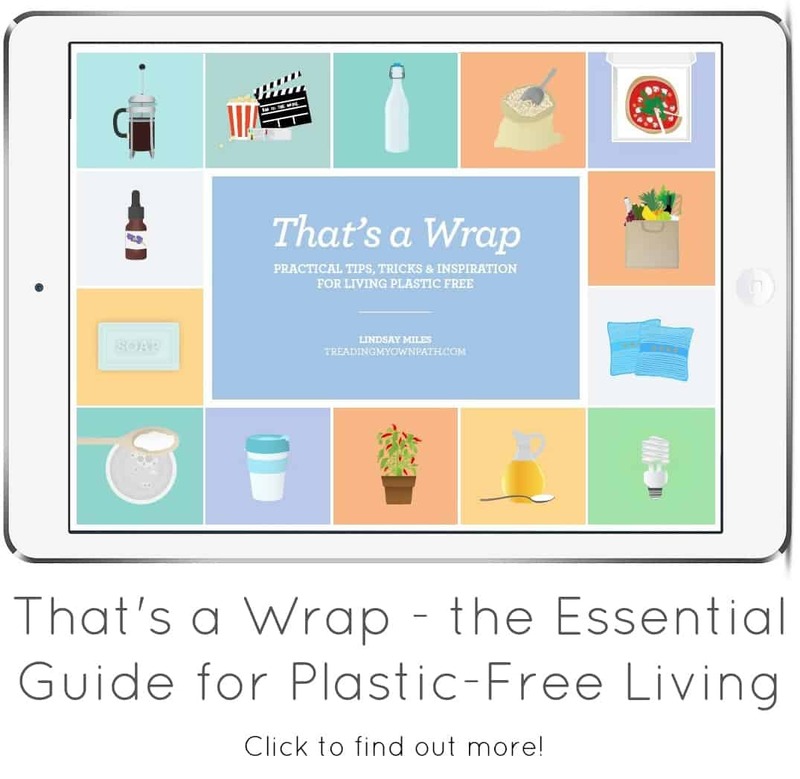 I feel that now I’ve got my all the plastic-free fundamentals of my life (shopping, eating, washing and cleaning) under control, this is something I want (and need) to tackle. Is “Hoping” that Clothing is Sustainably Made, Ethically Produced and Sweatshop-Free Enough? The answer to this, quite clearly, is no. Avoiding clothing at rock-bottom prices is a no-brainer, but assuming (or hoping) that just because a clothing company charges more for its products that the farmers and workers have been treated fairly… It’s a big ask. And it’s a question I’ve not even been asking. Feeling rather noble about my purchases, I was very pleased when they arrived in a brown paper bag, looking all environmentally friendly. At last! A sustainable solution! And then I looked inside. 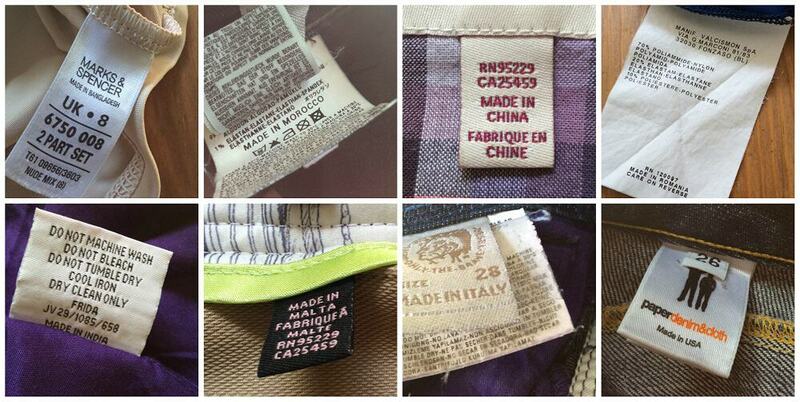 Organic cotton clothing, Fairly Traded, ethically produced…and packaged in plastic! I haven’t bought new clothing online in so long, it didn’t even cross my mind that the items would come individually packaged in plastic. I purchased these in July, so ironically, in the one month of the year where I aim to make the biggest effort to consume no plastic, I end up accumulating more than in the entire rest of the year put together! 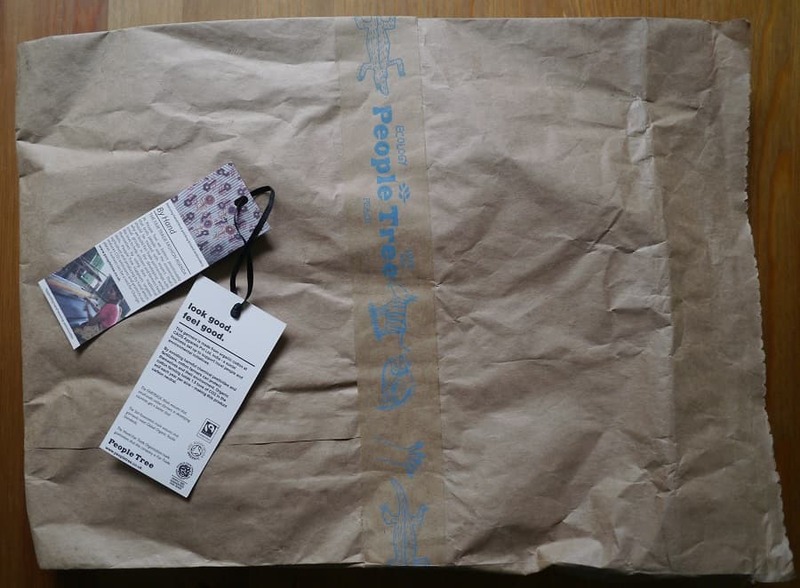 People Tree packaging – plastic-free heavy duty brown paper envelope, labels made of card attached to the clothing with ribbon (possibly plastic but at least reusable). If only the items themselves didn’t come in plastic bags! So often when trying to make “green” and ethical decisions we have to compromise, and it can be frustrating! Clearly I’m committed to not buying anything in plastic, so shopping like this isn’t going to work for me. I’d also far rather find local shops and avoid online shopping altogether. Then again, living in one of the most isolated cities in the world makes this tricky. People Tree is a brand is championing the values that I think are so important – chemical-free crops, Fair Trade, capacity building, ethical supply chains – and I want to support them. An Ethical Dilemma – What Next? One thing I’ve learned on this journey is to ask questions. Maybe there’s an option for purchasing items without plastic packaging. Maybe there’s a good reason why they don’t offer this. Maybe they’ve just never thought about it before. My first step is to write a letter to express my concerns, and see if I can get any answers. (I might mention replacing the ribbon with natural twine, too.) Plus I’ll be recycling the plastic bags (our local supermarket collects soft plastic like this for recycling). My second step is to look for in-store options (next time I need to replace something though…not before). For example, People Tree stock over 1000 stores, so there must be the option to buy in-person, and avoid all the unnecessary extra packing and shipping. They are also not the only Fair Trade and organic brand out there. An exciting journey of discovery awaits! And of course, as I start to discover these brands, there will be the option of looking for them online (or even in stores) in the second-hand marketplace. 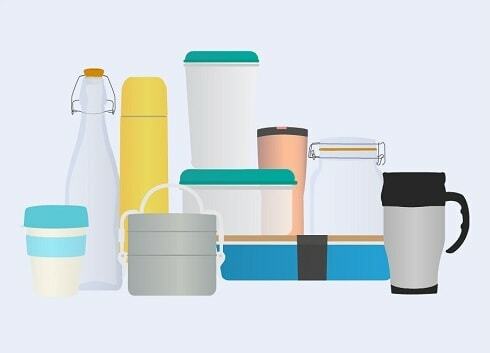 It’s also easier to request plastic-free packaging when you’re buying from an individual, items are usually cheaper, and you’re giving a new lease of life to somebody else’s waste. Sometimes making sustainable choices isn’t easy. Often we are faced with hurdles. Giving up or accepting defeat isn’t an option. If we care enough, if we want to live a life aligned with our values, then we need to keep trying. I may have tripped, but I intend to get back up, dust myself off, learn from what’s happened and keep going. After all, even when we stumble, we are still moving forward. Now I’d love to hear from you! Have you tried to make a sustainable choice that’s backfired? What did you learn from it? How do you deal with compromise? Do you have some non-negotiables – rules you’ve set yourself that you’ll never bend, or is everything open to compromise depending on the situation? What about sustainable fashion? Have you taken steps to make your wardrobe more ethical or environmentally-friendly? What did you find easy? What do you struggle with? 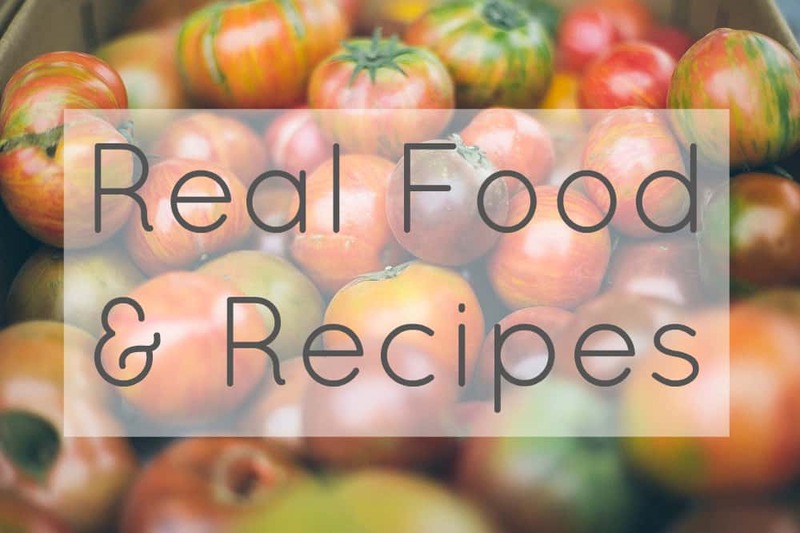 Do you have any tips you’d like to share? Please tell me your thoughts in the comments below! Getting there though involves a multitude of challenges. In chilly damp UK stockings are a necessity and even woollen ones come with Lycra, not to mention underwear. And yes, postal deliveries of ethical, environmentally friendly clothes… I recognise your frustration there but I’ve experience the flipside too. I bought a dress from a responsible clothes company. It came in a cardboard box and the dress was wrapped in tissue paper. The postman left it outside as I wasn’t in and it heaved down that day… I came home to a soggy box and a very damp dress, which was unfortunately too large. Due to its wet condition I couldn’t exchange it… The best solution would be a local shop that stocks more of these types of brands but I suspect I will be relying on the post for a bit longer. My preference is for companies to wrap the clothes in paper and use one plastic mailbag that I can carefully cut open and reuse when I send hand knitted gifts or books to my family or friends. Not perfect but the least harmful balance I have found so far… That and making a lot of my clothes myself. I’m not so worried about lycra / elastane just yet… I’m gonna deal with the big stuff first! Ah yes, making clothes myself. That’s the dream. But unless I really commit to learning, it will remain a distant dream for a long time. Still, I have the sewing machine, so good start! I agree with the above comment- on the odd occasion I buy something new online it always comes wrapped in plastic. However, I presume that this is the case for all their clothing and therefore, it is just removed before display in the shop. Therefore, just because we don’t see it- doesn’t mean clothing from the store is plastic free. In the same way, surely all the food in Zero Waste stores is packaged in some way we don’t see- quite possibly plastic, before being poured into bulk containers. I take the above approach and re-use the plastic mailing bags when I sell clothing I’ve finished with on eBay. In Britain, I don’t think there’s much other choice because if you don’t package things appropriately- you can’t be compensated if they are lost or damaged. If you wrap in brown paper and it gets soggy, the whole thing could rip off taking the address with it. I buy a huge proportion of my clothes in charity shops and more recently, I’ve started shopping in vintage stores. I just take my own re-usable cloth bag. I even buy some shoes there, but I do allow myself to have new shoes from time to time- as it’s very hard to find your size in good condition. When I do buy in stores, it tends to be in the sale- so I figure, I’m saving these new & unwanted clothes from landfill and I get a bargain. Like recently, I bought 4 bras from M&S for less than £10. I’m absolutely sure you’re right about the clothes coming to the store in plastic too. 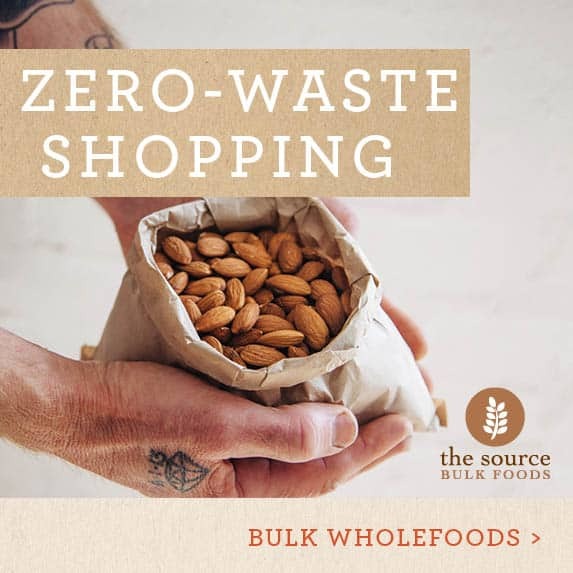 The food thing is slightly different as the stores buy in bulk so we’re talking 20kg or more packaged up, rather than 200 x 100g individual packets, which of course would produce far more waste! (Plus those 200 packets were possibly packed from a 20kg bag in the first place – so I see bulk food shopping as missing a very wasteful step.) Shame they can’t just bundle clothes like that too! The stores are going to steam press them on arrival, so what’s the difference?! I do forget about the wet weather there! One thing Australia Post does which I think is great is have parcel lockers outside the Post Office. You register for the service but don’t own your own box. When you get a delivery they stick it in the box, and you get a card which unlocks your box to get your parcel. It’s free and means no queueing and 24 hour access to your stuff. i haven’t actually used it but my husband has. The UK should get on board with them – no soggy parcels then!!! Ah, getting the balance is hard! OH and I just read the above comment about shoes. After hunting high and low for Canadian-made shoes, I was THRILLED to discover, just a few miles from my home on the Native Reserve, they sell handmade moccasins. They are so beautiful, made of all leather with natural gum rubber soles. They are extremely comfortable and will mold to the shape of your feet. I’m saving up to buy a pair of each of us. (They aren’t cheap, but I am happily willing to pay for handmade shoes). Alissa, there’s a new company that’s starting up you should check out: http://www.peggysuecollection.com/ they’ve sourced and produced everything they can from within Canada, although some stuff they’d had to look to the U.S. for. Haha you’re welcome. It’s nice to have something potentially useful to share! I have had that book on reserve from the library for about two months – I’m now number 4 in the queue! Looking forward to getting my hands on it! I can’t tell you how much guilt I felt at all that plastic!!! I wonder if it’s something they’ve never really thought about, or whether it’s something they can’t avoid. I’m really interested to hear their response so please make sure you share it with me! I am right here with you facing same issues. Except I am vegan too:) so I have to consider that buying new items: no silk, no genuine leather, no cashmere and no wool. My natural fiber choices are organic cotton, hemp, bamboo and linen. I also have same requirements you do: zero waste, plastic free, second hand, fair trade, bought locally. It is a challenge and it is a very slow process but I believe one day will be able to buy items which meet all of my requirements without compromising. When I was writing this I was wondering about the extra dilemmas a vegan might have. Now you’ll have to answer all my questions! I’m working towards a plant-based diet, although I’m still planning on eating eggs and honey, but I’m comfortable wearing wool etc. I saw a great talk about sheep rearing at the Organic Food Festival in Bristol a few years ago, and he was explaining that sheep have been deliberately reared to need shearing, except now wool is worth so little it costs the farmers more to do it than they’d get from selling it. But without it, the sheep overheat / can’t move and die. Anyway, I realise this is a product of the farming industry and vegans wouldn’t wear wool still. Tahoe vegan: I have all your criteria, in addition to being plus-sized. I hope sourcing the clothes we seek becomes easier with time. In the meantime, I am trying to relearn how to sew. PS I notice you say re-learn. For me it’s starting from scratch! : / Are you teaching yourself? How is it going? Great article Lindsay. I too share your frustration! Which is why I’ve set out to develop my own clothing company, specifically active wear, made from bamboo fibre. There is so much plastic in active wear!!! It’s really early days and making choices about packaging was really important to me. I found a company in the US that makes 100% recycled plastic mailing bags (we started sending parcels in winter so we were aware of the rain issues with paper/cardboard!) and use recycled tissue paper too. As an online business, I also worry about the impact of postage miles versus a brick and mortar store but my vision is that people can make the choice to purchase from us without having to think twice about the impact they’re having – it’s the best choice anyone can make. We’re continuing to improve and articles like this remind me why we’re working so hard. Thanks! Thanks Holly! Wow, that’s great – and ambitious! I agree about the amount of plastic in active wear – well, all wear really! I hear your stuggle. We don’t live in a perfect world. Maybe you can get to a point where you stock stores and won’t need to do so much online trade. Keeping your packaging to a minimum, discouraging returns and being clear about your mission are great first steps, and if you’re passionate you’ll have the motivation to keep looking for alternatives and better ways of doing things. In Holland we have soms brands that sell sustainable fashion but unfortunately I don’t fit regular sizes. And I don’t feel comfortable buying clothes from abroad as I would hate to have to return it. I still have to make lots of other lifestyle improvements so I just keep informed and hope that within time I can buy sustainable clothing in my size locally. Thanks for this timely reminder about sourcing natural fibre clothing with all the other ethical and sustainable considerations. I was devastated to read your last post about the plastic microfibre pollution from polar fleece. I had bought a Patagonia recycled plastic jumper about two months ago and was feeling rather smug until I read your post! I now have a dilemma. My last couple of polar fleece jumpers were bought second hand and lasted between 5-6 years (for me). As I bought the Patagonia jumper brand new, I expect it will last even longer. I was upset about the inevitable plastic pollution. Do I keep this jumper and cause pollution or send it to landfill and waste the resources used to make and transport it? After worrying about it for a while, I decided to give myself a break. I’ll use this jumper until the end of its life but from now on, I will only buy natural fibre clothes unless there is no other option. I have been buying most of my clothes second hand for several years and I noticed that quite a few of them were made of synthetic fibres. I suspect this is because people who buy mostly natural fibre clothes wear them to “death” and then cut them up for rags. Clothes made of synthetic fibres also keep their colour and shape better than clothes with natural fibre (this is true for my wardrobe, at least). Thanks again for a thoughtful post and lighting the way ahead. Chamali, I’ve had the same dilemma over my own wardrobe given it too has a lot of synthetic fibres. Lindsay’s articles have made me aware of the impact that washing these clothes has on the marine environment, but those same microfibres make their way into the soil ecosystem too so landfill isn’t the answer either! I think the best option would be to use the fabrics in a way that they don’t require washing (i.e. not as clothes!) but I can’t upcycle my entire wardrobe so instead I plan to wear these items to death, upcycle what’s left for as long as possible and not bring in any more synthetic fibres. Oh no! If it’s any consolation, I have had plenty of smug moments in the past where I thought I was being all environmentally-friendly, only to learn that was completely not the case. Biodegradable coffee cups are a classic example – especially when I threw them in the bin! So you’re not alone! In the microfibres post someone shared a link about a washing machine filter that is being developed to trap the fibres before they get into the waterways. I plan to look into this more, as I have plenty of synthetic fabrics that I will be washing many more times before they are life expired. I agree – give yourself a break! : ) Patagonia are a great brand for championing the way of sustainable clothing, even if they are (in my opinion) a little misguided with polar fleece. I agree, treat it well, try to wash it sparingly if you can (I wonder if handwashing is less vigorous and therefore releases less fibres?) and when it comes to the end of its long life, maybe there will be more sustinable options to replace it! I agree with your comments about natural fibres. I suspect it also has a lot to do with how we care for them. It will be interesting to find out! some companies, like Patagonia, take back their goods at the end of their lives, shred them, and make them into new goods. and nike shreds athletic shoes and makes them into track running surfaces. it’s a start, tho it doesn’t take away from the plastic problem. why not make your own clothes? then you can choose the materials that suit you and you will know they weren’t sweat shop made. I live in Oregon, in the usa and have found cotton and wool fabrics and yarns made in-country, from in-country fibers. I make sure to tell the mfgrs that I appreciate this. It’s great to see companies take initiative and responsibility, and yes, whilst it isn’t going to solve to problem of over-consumption, it’s a great start! The “eco” clothes wrapped in plastic reminds me of the “eco” greeting cards that come in plastic sleeves – WTF is going on with cards all being in non-recyclable, useless plastic sleeves these days? Anyhow. Great post. I hear you! I’ve found some great cards locally that don’t come in plastic, and there’s an awesome UK site called Lagom who will send the cards without individual plastic sleeves if you request it. My favourite brand is Merry-Go-Round cards based in Australia – their cards are completely plastic free and designed to be reused again and again! One unfortunate thing I’ve found is that fair trade isn’t nesseccarily good quality. Though my research in this isn’t big, I’ve bought maybe three brands of diferent items that all wore out quicker that I would’ve liked. Is it because they’re made overseas and their quality control isn’t as good? Or do they just make them worse quality so that we’d buy more? So now I’m trying to find Australian made things and see how that works out. That’s interesting! Would you mind sharing the brands, if you can remember them? I would like to think that it isn’t deliberate… maybe it’s just that it’s smaller, less experienced companies with less exposure the the western market, understanding of quality control etc. I had that issue in July as well – buying wool yarn to make a garment, it came packaged in plastic! I think it’s partly to reduce moth damage, but I’ll make sure to ask not to have plastic next time I purchase! These issues always come about in July, I think! I agree, I think being more vigilant on the plastic-free requests is necessary! Today I was thinking about my year of only buying second hand (I made one exception… cause it’s a pact with my mum and she enabled me!). My thoughts were ‘it’s not all easy’ – sure I like I’m not adding to the supply chain of new stuff, but then, not everything is my size. And at $14 or $18 an item, I’m not sure I’m willing to spend as much again to tailor them… Anyhow. It’s not game ending, but it makes you realise how the status quo has become so, cause it’s so damn suitable – multiple items, choice of sizes etc. le sigh. Well, first up, Etiko sneakers. Developed a hole in a sole after a year, so now if I walk in wet weather, my feet get wet. Though it is made of natural rubber rather than the synthetic kind, so I suppose it is going to wear out sooner. A few years ago I bought Pants to Poverty undies. The fabric is so thin and elastic flimsy, they wore out pretty quickly too. And lastly, EcoDownUnder towels. Not fairtrade though, I misremembered. Australian company but made overseas. We’ve had the towels for 3-4 years and already looking worse for wear. Wheras the towels we’ve had since moving in together (6 years) were second hand to start with and are still looking better than the organic ones. Whilst I think it’s a good idea to support fair trade, I also think we should shorten the supply chain and have each country make their own things, and ship internationally what’s unique to them. But not too much. I suppose it’s too radical thinking. My husband bought a pair of Etiko trainers actually, with a similar problem – and after less than a year, but he is very heavy handed with shoes (if you can be heavy handed with shoes?! Do I mean heavy footed?!) – but since then they haven’t worn out more. He says he’d buy another pair though – he’d rather support them than a non-ethical brand. In Australia we have less worries about wet feet as it doesn’t rain that often! I’ve seen Pants to Poverty – that’s good to know, because I really want to find some ethical underpants – especially as these are definitely ever going to be a second-hand purchase! I agree with shortening the supply chain. The thing with companies like People Tree – they’re trying to do their best within a system that doesn’t work well and isn’t sustainable – ie produce lots, change fashions quickly, focus on quantity over quality. Well that’s how I see it. I really need to book those sewing lessons!!! Thunderpants is a NZ company making organic cotton underwear in NZ that lasts pretty well. (http://www.thunderpants.co.nz/) Not in Australia, but at least in the region! Ooh thanks so much for this Jasmine – I will check them out! Gah, the comment was supposed to go up there for a reply to yours, Lindsay. Another food-for-thought post I really enjoyed reading. It’s frustrating that even a brand like People Tree wraps each item individually in plastic. For this reason I always ask before I place an order whether or not the item is wrapped in plastic. Shopping this brand off-line is probably not a solution because most likely the clothes arrive in the shop wrapped individually in plastic. I used to work in a clothes store as a teenager and typically each item would be wrapped in plastic. We would unwrap each item and hang it in the store. 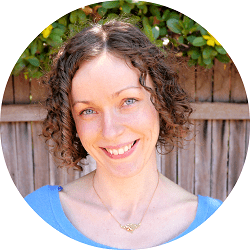 Have you emailed People Tree yet? I would love to hear their response. I’m interested as well in a response! Yes I agree, especially when they are such an ethical brand! 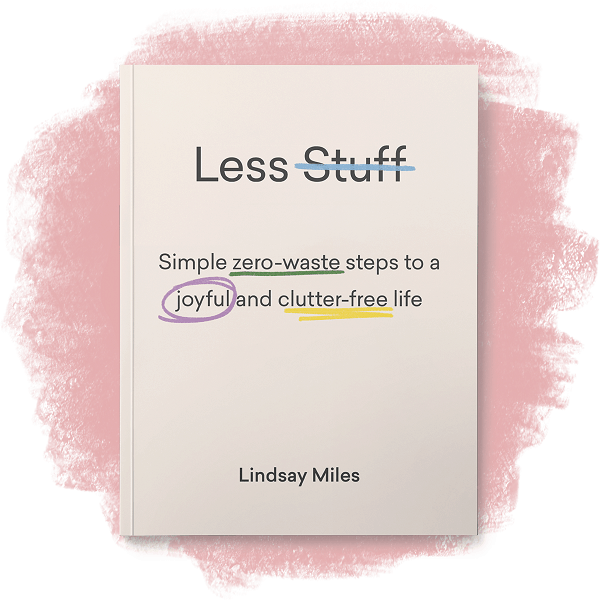 I agree with you about the offline vs online – I know there is the debate with zero wasters regarding the whole “refuse” issue, and refusing waste outside of the home is better than bringing it in (especially if you’re sending a message as to why), but it’s a bit of a shady area to me. If you know that something comes individually wrapped but you don’t actually see the wrapping or don’t actually buy it (leave it in the shop), does it still count as zero waste? Interesting question, and I don’t know the answer but I would swing very much towards NO IT DOESN’T! Anyways – rant over – thanks for keeping me honest. I have had a mini conversation on Twitter with them but hadn’t got round to writing the letter – and saw this comment and realised I’d better get to it! They claim their plastic is biodegradable so I’m interested to know what additive they use, and which tests they’ve used to back up these claims (as you know most plastic is degradable not biodegradable)… and why it’s biodegradable and recyclable, and whether the biodegradable additive affects the recycability…plus their thoughts on plastic being shipped overseas to poor countries for processing – the same places where their clothes are made. Am interested to receive my response too! My wardrobe is my current job to tackle. I recently graduated college and I donated all the clothes I’ve had since the beginning of college that don’t fit me anymore and all the fabrics that kept me hot and gross. My goal is secondhand and natural fibers but of course this is few and far between. I found a romper I love secondhand but of course it is rayon. And a cashmere sweater. Unfortunately nothing I am finding secondhand actually contributes to an outfit (or maybe I’m not stylish enough). I’m dying to buy new but don’t want to contribute to fast fashion. I need a wardrobe made up of more than just cheap flannels as I look for work! I’ll give People Tree a look as well as keep searching for American made or local companies. Thanks! I hear you Danielle! I still have some clothes from college…and I graduated in 2003! : / I think my goal is to find the brands, and then seek them out second hand on eBay. People Tree definitely have a second-hand market on there. That and learning to sew. I hear you on the outfit front too – I have far too many clothes but can never string an outfit together. I think it’s a style thing! I probably need some lessons in that too! It’s great, actually, and I’ve had lots of success. I find it impossible to browse, but if you know what you want – or a brand you like – it’s so easy to search, and most sellers are very accommodating if you email with any requests. Just don’t get hooked on the “bargains” and buy far more than you need – that was a mistake I made at the start! When I worked at a ladies dress shop (a LONG time ago) all of the clothing came to the store wrapped in plastic to protect the garment during shipping. I am sure that still happens today. Cynthia, I think you’re right… I think most stores will receive their goods this way these days. Maybe if we were buying a whole lot less stuff it wouldn’t be such a problem… but there must still be alternative ways, surely?! I enjoyed reading about your journey through the dilemmas of sustainable fashion. I’ve often wondered what to do about all of the plastic packaging from fashion companies. It can be quite disheartening to purchase something you think is good and then realize there’s one step or mishap that gets in your way. I think it’s great you’ve found ways around it by striving to purchase in store and finding organic fabrics that aren’t plastic based like polyester. Hi Brooke, thanks for your comment! I think buying in-store is flawed really – whilst it saves me the plastic, the items still arrive in plastic at the stores. (I have confirmed this is the case with People Tree.) Often the stores are better placed to recycle than individuals, but I don’t think it’s the answer. Better ,but a long way from perfect. Organic natural fabrics, however, I do think are the answer! Which means I’m on the right track at least! 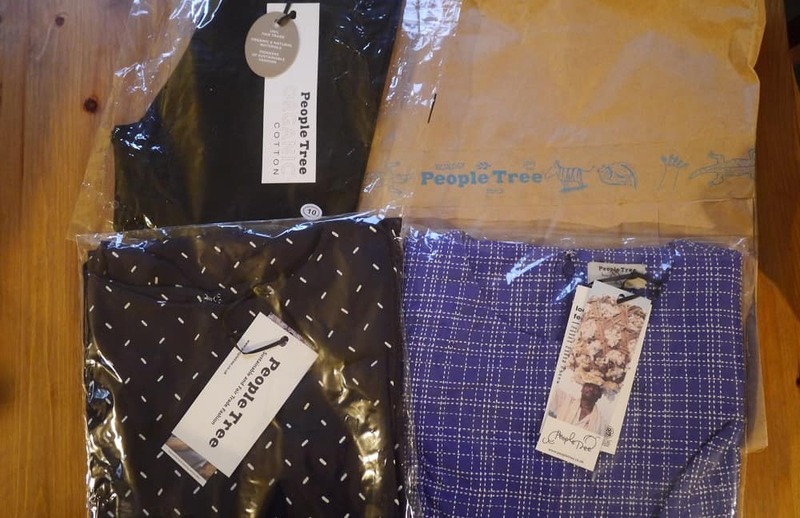 When I used to live in Europe, I ordered from People Tree. Their ethos and commitment to small communities in the developing world is great. But now that I’m back in Oz I prefer to source clothing from closer to home whenever possible. It’s much, much more expensive, but we do have fabulous producers of ethical clothing here! (Often this also means Internet shopping.) I find that it works out OK if you don’t buy too much, and wear and launder gently. I’m very minimalist anyway, which helps. Vege Threads in SA might have been a good option for replacement black leggings. They do a lot of Australian-made, organic clothing with responsible packaging. (Lots of T-shirts, leggings, singlets, etc.) Someone above mentioned that active wear is a bit of an ethical nightmare. I’ve just recently come across Dharma Bums, which produce exercise gear in Australia, although the fabrics are synthetic. There are always so many factors to consider – you just have to work out where you’re willing to make your compromises! I agree with you completely – I’d rather be supporting local (Australian) brands. It seems kinda wrong to ship things across the globe. The other thing my husband and I have noticed is that as the clothes are designed for the UK / Europe, they tend to be quite thick, and that is not going to work with our hot Perth summers! Thanks so much for these tips. It can be a little daunting knowing where to start with all this – which is why I began in the UK I think, as I have some idea of brands there. I’m keen to get a thin pair of summer leggings so this might be a better option.